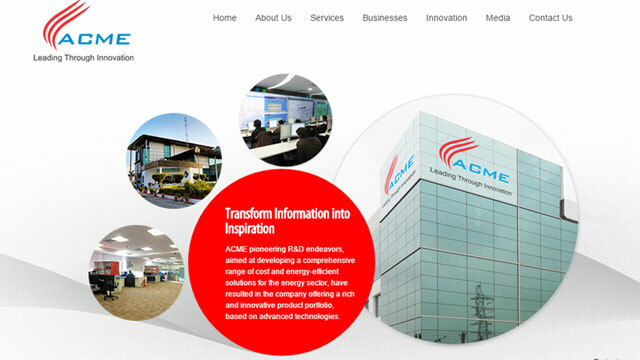 Gurgaon-based ACME, a green technology solutions provider, has launched An incubator that will target emerging companies in IT, telecom, mobile applications and other areas. A Economic Times news report said that the company has earmarked Rs 50 crore for the initiative, which has been christened as 'India Factory'. In a press statement, Manoj Kumar Upadhyay, Founder & Chairman, ACME said: "Idea Factory believes in the spirit of collaboration and aims to advance entrepreneurship following a partnership approach. The vision is to create an ideal environment for entrepreneurial growth, help build successful businesses and uplift the talent pool of the country." As part of the initiative, the company will provide innovators with office space, project mentoring, legal and marketing support. ACME is a provider of technology for infrastructure development in sectors such as defence, renewable energy generation, telecom, and water and waste water management. The company is said to have a solar portfolio of 883 megawatt and intends to take it to 1.2 gigawatt (or 1,200 megawatt) by 2016. The current net worth of its solar business is Rs 1,500 crore.